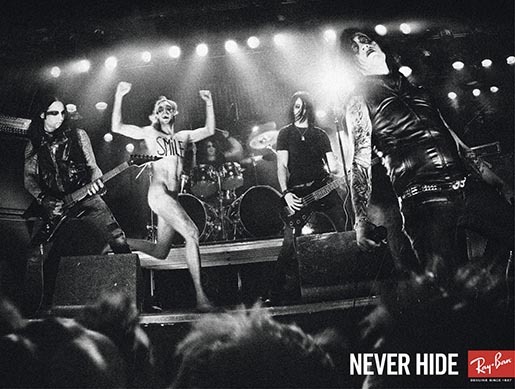 Never hide. 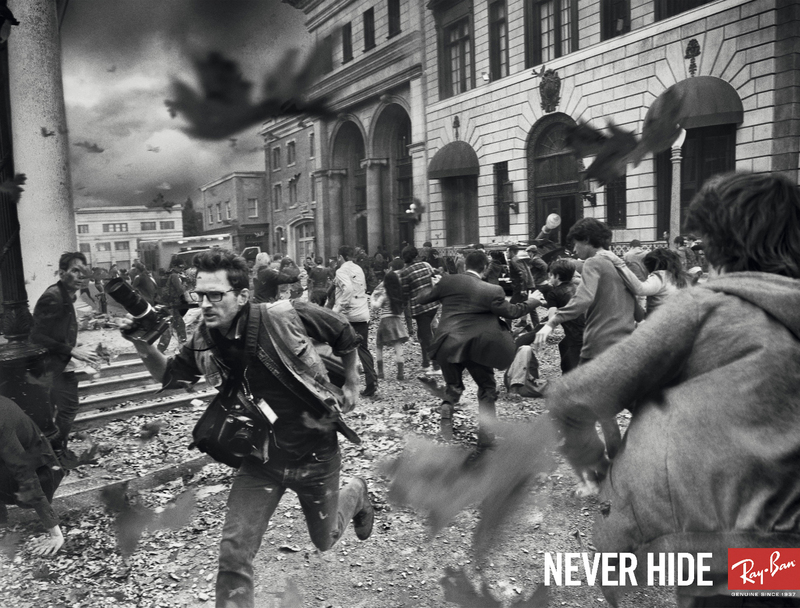 That’s the message presented in this award winning campaign for Ray-Ban Luxottica glasses. 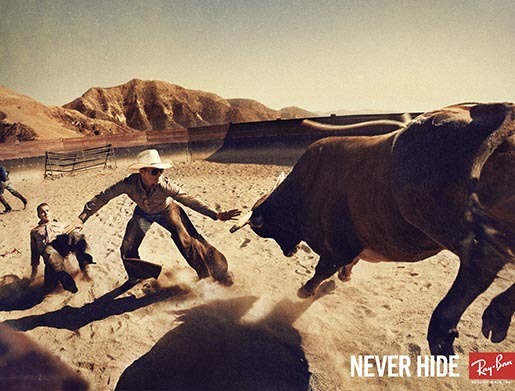 “Streaker”, “Photojournalist” and “Rodeo” won a Gold Outdoor Lion at Cannes International Festival of Creativity. 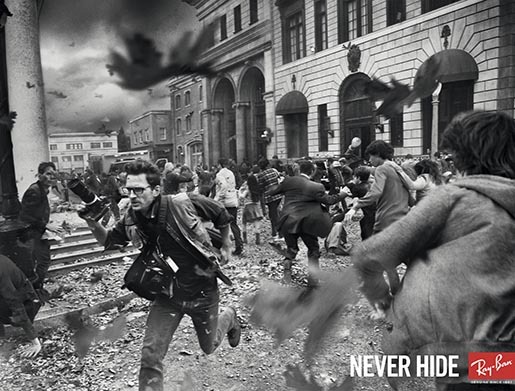 The Luxottica series was developed at Marcel Worldwide, Paris, by chief creative officer/executive creative director Erik Vervroegen, copywriter Julien Sens, art director Nicolas Damiens, photographer Mark Seliger, art buyers Jean-Luc Chirio and Lauriane Dula, account supervisors Alberto Scorticati and Shannon Eddy, account manager Charles Vieillefosse, international head of strategic planning Rob Klingensmith, planner David Daines, line producer Thomas Geffrier and producer Ruth Levy.